The Nordic and snowshoes trails at Detroit Mountain take you on a winding tour through our wooded 200 acres. 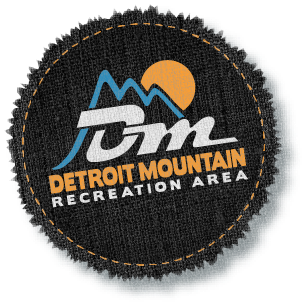 We have approximately 7km of machine groomed skate and classic trails with connectors to additional groomed trails at Mountain View Recreation Area and off-piste trails at the Detroit Mountain WPA US Fish & Wildlife Waterfowl Production Area. Snowshoes trails follow a separate network of trails used for mountain biking and also have the ability to connect to adjacent trail systems at Mountain View Recreation Area and Leitheiser Lake area.